Reading (/ˈrɛdɪŋ/ ( listen) RED-ing) is a large minster town in Berkshire, England, of which it is now the county town. It is in the Thames Valley at the confluence of the River Thames and River Kennet, and on both the Great Western Main Line railway and the M4 motorway. Reading is 70 miles (110 km) east of Bristol, 24 miles (39 km) south of Oxford, 40 miles (64 km) west of London, 14 miles (23 km) north of Basingstoke, 12 miles (19 km) south-west of Maidenhead and 15 miles (24 km) east of Newbury as the crow flies. Reading may date back to the Roman occupation of Britain, possibly as a trading port for Calleva Atrebatum. However, the first clear evidence for Reading as a settlement dates from the 8th century, when the town came to be known as Readingum. The name probably comes from the Readingas, an Anglo-Saxon tribe whose name means Reada's People in Old English, or less probably the Celtic Rhydd-Inge, meaning Ford over the River. In late 870, an army of Danes invaded the kingdom of Wessex and set up camp at Reading. On 4 January 871, in the first Battle of Reading, King Ethelred and his brother Alfred the Great attempted unsuccessfully to breach the Danes' defences. The battle is described in the Anglo-Saxon Chronicle, and that account provides the earliest known written record of the existence of Reading. The Danes remained in Reading until late in 871, when they retreated to their winter quarters in London. During the 19th century, the town grew rapidly as a manufacturing centre. The Great Western Railway arrived in 1841, followed by the South Eastern Railway in 1849 and the London and South Western Railway in 1856. The Summer Assizes were moved from Abingdon to Reading in 1867, effectively making Reading the sole county town of Berkshire, a decision that was officially approved by the privy council in 1869. The town became a county borough under the Local Government Act 1888. The town has been famous for the Three Bs of beer (1785–2010, Simonds Brewery), bulbs (1837–1974, Suttons Seeds), and biscuits (1822–1976, Huntley and Palmers). The town continued to expand in the 20th century, annexing Caversham across the River Thames in Oxfordshire in 1911. Compared to many other English towns and cities, Reading suffered little physical damage during either of the two world wars that afflicted the 20th century, although many citizens were killed or injured in the conflicts. One significant air raid occurred on 10 February 1943, when a single Luftwaffe plane machine-gunned and bombed the town centre, resulting in 41 deaths and over 100 injuries. The Lower Earley development, built in 1977, was one of the largest private housing developments in Europe. 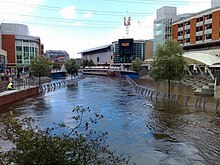 It extended the urban area of Reading as far as the M4 motorway, which acts as the southern boundary of the town. Further housing developments have increased the number of modern houses and hypermarkets in the outskirts of Reading. A major town-centre shopping centre, The Oracle, opened in 1999, is named after the 17th-century Oracle workhouse, which once occupied a small part of the site. It provides three storeys of shopping space and boosted the local economy by providing 4,000 jobs. As one of the largest urban areas in the United Kingdom to be without city status, Reading has bid for city status on three recent occasions – in 2000 to celebrate the new millennium; in 2002 to celebrate the Golden Jubilee of Queen Elizabeth II; and 2012 to celebrate the Diamond Jubilee. All three bids were unsuccessful. Prior to the 16th century, civic administration for the town of Reading was situated in the Yield Hall, a guild hall situated by the River Kennet near today's Yield Hall Lane. After a brief stay in what later became Greyfriars Church, the town council created a new town hall by inserting an upper floor into the refectory of the Hospitium of St John, the former hospitium of Reading Abbey. For some 400 years up to the 1970s, this was to remain the site of Reading's civic administration through the successive rebuilds that eventually created today's Town Hall. In 1976, Reading Borough Council moved to the new Civic Centre. In 2014, they moved again to civic offices in a refurbished existing office building on Bridge Street, in order to facilitate the demolition and redevelopment of the previous site. The government of the Borough of Reading follows the leader and cabinet model. Following the 2011 local elections, a Labour minority administration replaced the previous Conservative-Liberal Democrat coalition on the casting vote of the mayor. After the 2018 elections, Labour have 30 councillors, the Conservatives 12, Greens 3 and Liberal Democrats 1. The borough also has a (largely ceremonial) mayor. Cllr Debs Edwards has been the mayor of Reading since May 2018. However, the process has been painfully slow and it appears that, for every two steps forwards, there are three steps backwards—mainly because of the view of South Oxfordshire district council, which is being incredibly parochial about this matter. Meanwhile, Reading Borough Council is adopting strategies that prioritise local traffic in Reading, obviously to the detriment of through traffic. We have now reached the point at which we desperately need direct Government intervention to break the logjam between those local authorities. As the crow flies, Reading is 37 miles (60 km) due west of central London, 24 miles (39 km) southeast of Oxford, 70 miles (110 km) east of Bristol, and 50 miles (80 km) north of the English south coast. The centre of Reading is on a low ridge between the River Thames and River Kennet, close to their confluence, reflecting the town's history as a river port. Just above the confluence, the Kennet cuts through a narrow steep-sided gap in the hills forming the southern flank of the Thames flood plain. The absence of a flood plain on the Kennet in this defile enabled the development of wharves. As Reading has grown, its suburbs have spread: to the west between the two rivers into the foothills of the Berkshire Downs as far as Calcot, Tilehurst and Purley; to the south and south-east on the south side of the Kennet as far as Whitley Wood, Lower Earley and Woodley; and to the north of the Thames into the Chiltern Hills as far as Caversham Heights, Emmer Green and Caversham Park Village. Outside the central area, the floors of the valleys containing the two rivers remain largely unimproved floodplain. Apart from the M4 curving to the south there is only one road across the Kennet flood plain. All other routes between the three built-up areas are in the central area. Depending on the definition adopted, neither the town nor the urban area are necessarily coterminous with the borough. Historically, the town of Reading was smaller than the borough. Definitions include the old ecclesiastical parishes of the churches of St Mary, St Laurence and St Giles, or the even smaller pre-19th century borough. Today, as well as the town centre Reading comprises a number of suburbs and other districts, both within the borough itself and within the surrounding urban area. The names and location of these suburbs are in general usage but, except where some of the outer suburbs correspond to civil parishes, there are no formally defined boundaries. 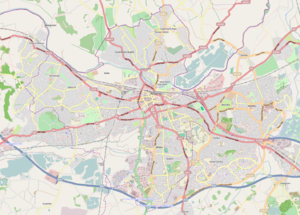 The Reading town area, sometimes referred to as Greater Reading, incorporates the town's eastern and western suburbs outside the borough, in the civil parishes of Earley, Woodley, Purley and Tilehurst. This area had a population of 227,887 in 2017, with ONS recognising this definition (the USD) as the town of Reading. The Reading urban area (officially Reading/Wokingham) additionally includes Winnersh, Wokingham and Crowthorne with an overall population of around 320,000 inhabitants. The borough has a population of 163,100 and a population density of 4,036 per square kilometre (10,453/sq mi) (mid-2017 est. ), while the Office for National Statistics' definition of the urban area around Reading had a population of 318,014 in the 2011 census ranking ranked 23rd in the United Kingdom. According to the 2011 census, 74.8% of the borough population were described as White (65.3% White British), 9.1% as South Asian, 6.7% as Black, 3.9% Mixed, 4.5% as Chinese and 0.9% as other ethnic group. In 2010 it was reported that Reading has 150 different spoken languages within its population. Reading has a large Polish community, which dates back over 30 years, and in October 2006 the Reading Chronicle printed 5,000 copies of a Polish edition called the Kronika Reading. Major companies Microsoft, Oracle and Hibu (formerly Yell Group) have their headquarters in Reading. The insurance company Prudential has an administration centre in the town. PepsiCo and Wrigley have offices. Reading has a significant historical involvement in the information technology industry, largely as a result of the early presence in the town of sites of International Computers Limited and Digital Equipment Corporation. Other technology companies with a significant presence in the town include Huawei Technologies, Pegasystems, Access IS, Agilent Technologies, Cisco, Ericsson, Symantec, Verizon Business, and Commvault. These companies are distributed around Reading or just outside the borough boundary, some in business parks including Thames Valley Park in nearby Earley, Green Park Business Park and Arlington Business Park. Reading town centre is a major shopping centre. In 2007, an independent poll placed Reading 16th in a league table of best performing retail centres in the UK. The main shopping street is Broad Street, which runs between The Oracle in the east and Broad Street Mall in the west and was pedestrianised in 1995. The smaller Friars Walk in Friar Street is closed and will be demolished if the proposed Station Hill redevelopment project goes ahead. There are three major department stores in Reading: John Lewis Reading (known as Heelas until 2001), Debenhams, and House of Fraser. The Broad Street branch of bookseller Waterstone's is a conversion of a nonconformist chapel dating from 1707. Besides the two major shopping malls, Reading has three smaller shopping arcades, the Bristol and West Arcade, Harris Arcade and The Walk, which contain smaller specialist stores. An older form of retail facility is represented by Union Street, popularly known as Smelly Alley. Reading has no indoor market, but there is a street market in Hosier Street. A farmers' market operates on two Saturdays a month. The demonym for a person from Reading is Redingensian, giving the name of the local rugby team Redingensians, based in Sonning, and of former members of Reading School. An alternative demonym is Readingite. Jane Austen attended Reading Ladies Boarding School, based in the Abbey Gateway, in 1784–1786. Oscar Wilde was imprisoned in Reading Gaol from 1895 to 1897. While there, he wrote his letter De Profundis. After his release, he lived in exile in France and wrote The Ballad of Reading Gaol, based on his experience of the execution of Charles Wooldridge, carried out in Reading Gaol whilst he was imprisoned there. Jasper Fforde's Nursery Crimes Division novels, The Big Over Easy and The Fourth Bear, are also placed in Reading, Berkshire. The BBC Two sitcom Beautiful People, based on the memoirs of Simon Doonan, is set in Reading in the late 1990s. 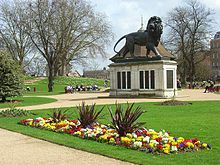 The Maiwand Lion in Forbury Gardens, an unofficial symbol of Reading, commemorates the 328 officers of the Royal Berkshire Regiment who died in the Battle of Maiwand in 1880. There are a number of other works of public art in Reading. The Blade, a fourteen-storey building completed in 2009, is 128 m (420 ft) tall and can be seen from the surrounding area. Jacksons Corner with its prominent sign, former home of Jacksons department store, occupies the corner of Kings Road and High Street, just south of the Market Place. Reading has six Grade I listed buildings, 22 Grade II* and 853 Grade II buildings, in a wide variety of architectural styles that range from the medieval to the 21st century. The Grade I listed buildings are Reading Abbey, the Abbey Gateway, Greyfriars Church, St Laurence's Church, Reading Minster, and the barn at Chazey Farmhouse on the Warren. Reading has a local newspaper, the Reading Chronicle, published on Thursdays. The town's other local newspaper, the Reading Post, ceased publication on paper in December 2014, in order transition to an online only format under the title getreading. As of 2018, getreading joined the InYourArea local news network. An online magazine, Alt Reading, publishes articles focusing on arts, entertainment and culture in Reading. A local publishing company, the Two Rivers Press, has published over 70 book titles, many on the topic of local history and art. Two local radio stations broadcast from Reading: BBC Radio Berkshire and Heart Thames Valley. Other local radio stations, such as London's 95.8 Capital FM and Basingstoke's The Breeze, can also be received. Reading has one local television station, That's Thames Valley which broadcasts local news throughout the Greater Reading area. Local television news programmes are the BBC's South Today and ITV's Meridian Tonight are available on BBC One and ITV. The principal National Health Service (NHS) hospital in Reading is the Royal Berkshire Hospital, founded in 1839 and much enlarged and rebuilt since. A second major NHS general hospital, the Battle Hospital, closed in 2005. Berkshire Healthcare NHS Foundation Trust runs a NHS hospital, Prospect Park Hospital, which specialises in the provision of care for people with mental health and learning disabilities. 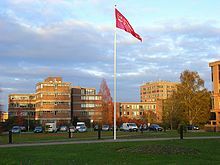 Reading has three private hospitals: the Berkshire Independent Hospital in Coley Park, the Dunedin Hospital situated on the main A4 Bath Road, and the Circle Hospital at Kennet Island. The Reading Borough Public Library service dates back to 1877. Initially housed in Reading Town Hall, the central branch of the library was relocated to a new building on King's Road in 1985. Mains water and sewerage services are provided by Thames Water Utilities Limited, a private sector water supply company, whilst water abstraction and disposal is regulated by the Environment Agency. Reading's water supply is largely derived from underground aquifers, and as a consequence the water is hard. The commercial energy supplier for electricity and gas is at the consumer's choice. Southern Electric runs the local electricity distribution network, while SGN runs the gas distribution network. A notable part of the local energy infrastructure is the presence of a 2 megawatt (peak) Enercon wind turbine at Green Park Business Park, wired to the local sub-grid. It has the potential to produce 3.5 million units of electricity a year, enough to power over a thousand homes. Reading's location in the Thames Valley to the west of London has made the town a significant element in the nation's transport system. Reading is a major junction point of the National Rail system, and hence Reading station is an important transfer point and terminus. In a project that finished in 2015, Reading station was redeveloped at a cost of £850m, with grade separation of some conflicting traffic flows, and extra platforms, to relieve severe congestion at this station. Railway lines link Reading to both Paddington and Waterloo stations in London. Other stations in the Reading area are Reading West, Tilehurst and Earley. Green Park railway station is planned on the Reading to Basingstoke Line to serve Green Park Business Park. Reading School, founded in 1125, is the 16th oldest school in England. There are six other state secondary schools and 38 state primary schools within the borough, together with a number of private and independent schools and nurseries. Alfred Sutton Boys' School closed in the mid 1980s. English language schools in Reading include Gateway Languages, the English Language Centre, ELC London Street and Eurospeak Language School. The medieval borough of Reading was served by three parish churches: Reading Minster, St Giles' Church, and St Laurence's Church. All are still in use by the Church of England. The Franciscan friars built a friary in the town in 1311. After the friars were expelled in 1538, the building was used as a hospital, a poorhouse, and a jail, before being restored as the Church of England parish church of Greyfriars Church in 1863. St James's Church was built on a portion of the site of the abbey between 1837 and 1840, and marked the return of the Roman Catholic faith to Reading. Reading was also the site of the death of Blessed Dominic Barberi, the Catholic missionary to England in the 19th century who received John Henry Newman into the Catholic faith. There are now a total of 8 Roman Catholic parish churches in Reading. In addition to Catholicism and the Church of England, the Seventh-Day Adventist denomination is also represented in the town, particularly by Reading West SDA Church on Loverock Road, Reading Central SDA Church on Tilehurst Road, and various other churches around Reading. Reading has had an organised Jewish community since 1886. At least one Jewish family living in the area has been traced back as far as 1842. The group grew to 13 families, who in 1886 declared themselves a community and commenced building a synagogue. On 31 October 1900, Reading Hebrew Congregation officially opened in a solemn public ceremony, packed to capacity with dignitaries, led by the Chief Rabbi Hermann Adler. Reading Hebrew Congregation, which still stands on its original site at the junction of Goldsmid Road and Clifton Street near the town centre, is a Grade II-listed building, built to a traditional design in the Moorish style. The community is affiliated with the Orthodox United Hebrew Congregations of the Commonwealth. In 2015, the Jewish Community of Berkshire (JCoB) was formed in order to continue such communal functions such as Jewish education for children (cheder) and rabbinic services for the region after Reading Hebrew Congregation downsized its workforce. JCoB now serves as the center of activity for younger Jews in the region. Reading also has a Liberal Jewish community which convenes in the Reading Quaker Meeting House, an active Jewish Society for students at the university, as well as being served by a Reform Jewish community which convenes in nearby Maidenhead Synagogue. Reading also has places of worship of other religions: the Shantideva Mahayana Buddhist centre, a Hindu temple, a Sikh gurdwara, a Salvation Army citadel, a Quaker meeting house, and a Christadelphian Hall. Reading is the home of Reading Football Club, an association football club nicknamed The Royals, formed in 1871. Formerly based at Elm Park, the club plays at the 24,161 capacity Madejski Stadium, named after chairman Sir John Madejski, and which opened in 1998. After winning the 2005–06 Football League Championship with a record of 106 points, Reading F.C. spent two seasons in the Premier League before being relegated to The Championship. For the 2012–2013 season, the club again competed in the Premier League, after securing first place in the Championship in the 2011–2012 season, but were relegated back down to the Championship at season's end. Reading Town Football Club, formed in 1966, played at Scours Lane and were playing in the Hellenic League Premier Division but were dissolved in 2016, while fellow non-league football club Reading City Football Club now play at Scours Lane after moving from Palmer Park Stadium at the end of the 2015–16 season. Reading is a centre for rugby union in the area, with the Aviva Premiership team London Irish as tenants at the Madejski Stadium. Reading is also home to another three senior semi-professional rugby clubs: Reading Abbey R.F.C., Redingensians R.F.C. and Reading R.F.C.. The Reading Rockets are the town's professional basketball team. They compete in the second tier English Basketball League Division 1, though they have tried several times in recent years to move up to the top tier British Basketball League. They play home games at the Rivermead Leisure Complex, and are coached by Manuel Peña Garces. In 2016–17 the club embarked on an 18-game winning streak. The town hosts Australian Rules football team Reading Kangaroos and American football team Berkshire Renegades. Palmer Park Stadium has a velodrome and athletics track. It is used by Reading Athletic Club and the Berkshire Renegades for training. Reading Hockey Club enter teams in both the Men's and Women's England Hockey Leagues. The Reading Rockets basketball club plays in the English Basketball League. Rowing is pursued by the Reading Rowing Club and the Reading University Boat Club, both next to Caversham Bridge, whilst Reading Blue Coat School trains at Sonning adjacent to the Redgrave Pinsent Rowing Lake in Caversham, which provides training facilities for the GB National Squad. However almost all club rowing is done on the River Thames. The annual Reading Town Regatta takes place near Thames Valley Park, with the Reading Amateur Regatta taking place in June, usually two weeks before the Henley Royal Regatta. The Reading Half Marathon is held on the streets of Reading in March of each year, with 16,000 competitors from elite to fun runners. It was first run in 1983 and has taken place in every subsequent year except 2001, when it was cancelled because of concerns over that year's outbreak of foot-and-mouth disease, and 2018, when it was cancelled on the morning of the race due to heavy overnight snowfall. The Hexagon theatre was home to snooker's Grand Prix tournament, one of the sport's "Big Four", from 1984 to 1994. ^ "Cllr Jo Lovelock". Reading Borough Council. Retrieved 1 October 2015. ^ "Cllr Debs Edwards". Reading Borough Council. Retrieved 22 June 2018. ^ a b "Resident Population Estimates by Ethnic Group (Percentages)" (XLS). Office for National Statistics. Retrieved 12 October 2011. ^ "Reading". Collins Dictionary. n.d. Retrieved 23 September 2014. ^ "Government & public sector". PwC. ^ Lawes Long 1836, p. 11–13. ^ Cameron 1961, p. 64. ^ Phillips 1980, p. 14–15. ^ a b c d e f Ditchfield & Page 1923, p. 342–364. ^ a b Slade 2001, p. 1–16. ^ a b Hylton 2007, p. 34–38. ^ Slade 2001, p. 17–25. ^ Fasham & Hawkes 1983. ^ Hylton 2007, p. 51–52. ^ Ford, David Nash. "The Siege of Reading". Royal Berkshire History. Nash Ford Publishing. Retrieved 27 April 2009. ^ Ford, David Nash. "The Battle of Broad Street". Royal Berkshire History. Nash Ford Publishing. Retrieved 27 April 2009. ^ Phillips 1980, p. 84–89. ^ Phillips 1980, p. 75–80. ^ a b "Berkshire Quarter Sessions". Jackson's Oxford Journal. 4 July 1868. ^ Hunter 1995, p. 103. ^ "Building the Great Western Railway". Reading History Trail. Archived from the original on 14 May 2011. Retrieved 14 June 2011. ^ Kidner 1982, p. 6. ^ Waters 1990, p. 20. ^ "Lords Hansard text for 16 Jul 1996 (160716-11)". UK Parliament. 16 July 1996. Retrieved 14 June 2011. ^ "English Counties, The Real Counties". BBC News. London: BBC. 7 April 2004. Retrieved 14 June 2011. ^ a b c "The Nineteenth Century". Reading Borough Council. Archived from the original on 29 April 2012. Retrieved 5 April 2012. ^ Dellor, Amanda (24 March 2010). "Reading's Courage Brewery closing". BBC News. London: BBC. Retrieved 14 June 2011. ^ "The History of Suttons". Sutton Seeds. Retrieved 14 June 2011. ^ "Huntley & Palmers Collection". Reading Museum. Reading Borough Council. 7 January 2011. Retrieved 14 June 2011. ^ "Huntley & Palmers Timeline" (PDF). Reading Museum. Reading Borough Council. 2001. Retrieved 14 June 2011. ^ "Air Raid, February 1943". Reading Museum. Reading Borough Council. Archived from the original on 3 October 2013. Retrieved 13 February 2012. ^ "Reading, Berkshire, UK". BBC News. London: BBC. 5 September 2008. Retrieved 13 June 2011. ^ "Reading". Garabys Letting Agent. Retrieved 13 June 2011. ^ "The founding of the Oracle". Reading History Trail. Archived from the original on 14 May 2011. Retrieved 21 April 2011. ^ "John Kendrick (1573–1624)". Royal Berkshire History. Nash Ford Publishing. Retrieved 21 April 2011. ^ "Largest Towns without City Status". LoveMyTown.co.uk. Retrieved 20 June 2011. ^ "Population overview". LoveMyTown.co.uk. Retrieved 6 July 2006. ^ "Towns that have recently applied for City Status". LoveMyTown.co.uk. Retrieved 20 June 2011. ^ "Reading submits 2012 city status bid". BBC News. London: BBC. 27 May 2011. Retrieved 21 June 2011. ^ Henley, Peter (6 April 2010). "Berkshire prepares for election". BBC News. London: BBC. Retrieved 12 June 2011. ^ "New Parliamentary Constituencies for England" (PDF). UK Parliament. 5 November 2009. Retrieved 26 June 2011. ^ "Election Maps". Ordnance Survey. Retrieved 26 June 2011. ^ "Reading Crown Court". Ministry of Justice. Retrieved 20 June 2011. ^ "Reading County Court". Ministry of Justice. Retrieved 20 June 2011. ^ "Reading Magistrates' Court". Ministry of Justice. Retrieved 20 June 2011. ^ "The Berkshire (Structural Change) Order 1996". legislation.gov.uk. Retrieved 20 June 2011. ^ a b Phillips 1980, p. 42. ^ Phillips 1980, p. 88. ^ Phillips 1980, p. 168–9. ^ "Reading Borough Council moves to new building in Bridge Street". BBC. 15 December 2014. Retrieved 15 August 2016. ^ "Labour takes back control of council". Reading Chronicle. Berkshire Media Group. 12 May 2011. Retrieved 30 May 2011. ^ "Councillors". Reading Borough Council. Retrieved 22 June 2018. ^ "Our Mayor". Reading Borough Council. Retrieved 22 June 2018. ^ a b c d Phillips 1980, p. 135. ^ a b c Dils 1998. ^ "Ward Profiles". Reading Borough Council. Archived from the original on 26 July 2011. Retrieved 24 January 2015. ^ "South Oxfordshire District Local Development Framework - Core Strategy Examination - Written Statement of Wokingham BC for the Exploratory Meeting on: Tuesday 17 May 2011" (PDF). South Oxfordshire District Council. 17 May 2011. Archived from the original (PDF) on 25 March 2012. Retrieved 14 June 2011. ^ "Third Bridge". CADRA. August 2006. Archived from the original on 25 April 2012. Retrieved 4 October 2011. ^ "Transport (Greater Reading)". Hansard. 11 January 2006. Retrieved 3 August 2006. ^ Map of Reading, Wokingham & Pangbourne (Map). 1:25000. Ordnance Survey. 12 May 2011. ISBN 9780319237304. ^ "2007 Floods photos". Reading Borough Council. Archived from the original on 21 May 2013. Retrieved 5 April 2012. ^ "Reading (Reading, South East England, United Kingdom) - Population Statistics, Charts, Map, Location, Weather and Web Information". ^ "Reading University Atmospheric Observatory". University of Reading. Archived from the original on 14 September 2012. Retrieved 18 June 2011. ^ "Reading University, Whiteknights". Met Office. Retrieved 15 February 2015. ^ Natalie, Slater (8 February 2010). "150 different languages spoken in Reading schools". Reading Post. Surrey & Berkshire Media. Retrieved 14 June 2011. ^ "The town where pupils speak 150 different languages". Daily Mail. London: Associated Newspapers. 8 February 2010. Retrieved 14 June 2011. ^ Blake, Heidi (8 February 2010). "The town where schoolchildren speak 150 languages". The Daily Telegraph. Retrieved 14 June 2011. ^ "Grant to repair Polish church". Reading Post. Surrey & Berkshire Media. 15 June 2010. Retrieved 20 June 2011. ^ Cacciottolo, Mario (13 October 2006). "Reading paper gets Polish edition". BBC News. London: BBC. Retrieved 20 June 2011. ^ Brook, Stephen (9 November 2006). "Reading paper to offer Polish edition". guardian.co.uk. London: Guardian Media Group. Retrieved 20 June 2011. ^ "Polish editions of regional press in Great Britain: Kronika Reading, Gazeta z Highland, Polski Herald". Krakow Post. London: Lifeboat. 22 July 2007. Retrieved 20 June 2011. ^ "Vision for Reading Chamber of Commerce". Thames Valley Chamber of Commerce. Archived from the original on 24 March 2008. Retrieved 11 June 2008. ^ "Companies". Thames Valley Park. Archived from the original on 25 March 2012. Retrieved 12 June 2011. ^ "Reading's Application for City Status" (PDF). Reading Borough Council. Archived from the original (PDF) on 25 July 2011. Retrieved 21 June 2011. ^ "Prudential could quit UK". Reading Post. Surrey & Berkshire Media. 5 May 2010. Retrieved 3 October 2011. ^ a b "Occupiers in Reading". Arlington Business Park. Archived from the original on 16 October 2011. Retrieved 21 October 2011. ^ "ICL Pensioners' Newsletter" (PDF). Fujitsu. Retrieved 12 June 2011. ^ New Scientist, 17 Jul 1986. Reed Business Information. 17 July 1986. Retrieved 12 June 2011. ^ "Agilent Technologies agrees letting in Reading". Cushman & Wakefield. 25 January 2006. Retrieved 10 October 2011. ^ a b "Occupiers". Green Park. Archived from the original on 17 August 2011. Retrieved 12 June 2011. ^ "So many fantastic memories of Adam". Reading Post. Surrey & Berkshire Media. 14 August 2007. Retrieved 10 October 2011. ^ "Occupiers". Reading International Business Park. Archived from the original on 6 October 2011. Retrieved 10 October 2011. ^ "Hicks Baker client acquires last suite at Apex Plaza". Hicks Baker. 5 August 2014. Retrieved 12 March 2016. Fast growing data management software company CommVault has signed a new 7-year lease on Block B at Apex Plaza in Reading. ^ "Retail & Leisure Study of Reading – Volume 1 – Chapters 1 to 3" (PDF). Reading Borough Council. 2005. Archived from the original (PDF) on 27 June 2008. Retrieved 13 June 2008. ^ "Battle to stay top of shops". Reading Post. Surrey & Berkshire Media. 28 September 2007. Retrieved 12 June 2011. ^ Millward, David (8 September 2010). "New 'partner' for Station Hill project". Reading Post. Surrey & Berkshire Media. Retrieved 12 June 2011. ^ "The history of John Lewis Reading". John Lewis. Archived from the original on 17 July 2012. Retrieved 28 April 2009. ^ "Mall Guide" (PDF). Oracle. Archived from the original (PDF) on 27 September 2011. Retrieved 9 October 2011. ^ Historic England. "Congregational Church, Broad Street, Reading (38777)". Images of England. Retrieved 6 July 2011. ^ "Holland & Barrett Smelly Alley – Reading". Thames Valley Vegans And Vegetarians. Archived from the original on 21 November 2008. Retrieved 1 May 2009. ^ "Reading Market". Town & Country Markets. Archived from the original on 22 July 2011. Retrieved 7 July 2011. ^ "Calendar". Thames Valley Farmers' Market Co-operative. Retrieved 22 June 2018. ^ "Festival History". Reading Museum. Reading Borough Council. Archived from the original on 31 May 2011. Retrieved 12 June 2011. ^ Minard, Jenny (29 March 2010). "Reading Festival: A history as 2010 line up announced". BBC News. London: BBC. Retrieved 12 June 2011. ^ Schofield, Deborah (5 August 2002). "WOMAD in Reading". guardian.co.uk. London: Guardian Media Group. Retrieved 6 July 2006. ^ "Womad venue change after 17 years". BBC News. London: BBC. 3 October 2006. Retrieved 20 October 2006. ^ Fordham, Jonny (30 April 2009). "Reading Beer Festival: family friendly fun". Reading Post. Surrey & Berkshire Media. Retrieved 13 June 2009. ^ "18th Reading CAMRA Beer and Cider Festival". Reading Beer Festival. Retrieved 13 June 2009. ^ "Reading Theatre". Reading History Trail. Archived from the original on 5 August 2011. Retrieved 19 January 2015. ^ "Concert Hall". Reading Arts. Reading Borough Council. Retrieved 26 June 2011. ^ "The Hexagon Reading Arts". Reading Arts. Reading Borough Council. Retrieved 13 June 2011. ^ "21 South Street". Reading Arts. Reading Borough Council. Retrieved 14 March 2007. ^ "Progress Theatre homepage". Reading Arts. Reading Borough Council. Retrieved 15 March 2007. ^ "Progress Theatre". Reading Arts. Reading Borough Council. Archived from the original on 27 March 2007. Retrieved 14 March 2007. ^ Wykes 1970, p. 13. ^ a b "History of Reading School". Old Redingensians Association. Retrieved 12 June 2011. ^ Serck, Linda (11 November 2008). "My Luminaries shine at South Street". BBC Berkshire. Retrieved 10 September 2017. ^ Serck, Linda (23 February 2011). "The Session: Tripwires primed to explode". Reading Post. Surrey & Berkshire Media. Retrieved 20 June 2011. ^ Ford, David Nash (2001). "Biographies: Jane Austen (1775–1817)". Royal Berkshire History. Nash Ford Publishing. Retrieved 28 December 2010. ^ Ford, David Nash (2003). "Biographies: Mary Russell Mitford (1787–1865)". Royal Berkshire History. Nash Ford Publishing. Retrieved 28 December 2010. ^ "A Walk on the Wilde Side of Reading". The Automobile Association. Retrieved 11 June 2011. ^ "Oscar Wilde: Prisoner C33". BBC Berkshire. London: BBC. Retrieved 11 June 2011. ^ "Ricky Gervais and Stephen Merchant on Cemetery Junction". BBC Berkshire. London: BBC. 14 April 2010. Retrieved 8 June 2011. ^ Fort, Linda (14 April 2010). "Cemetery Junction starring the Reading Post". Reading Post. Surrey & Berkshire Media. Retrieved 8 June 2011. ^ Roberts, Anna (16 April 2009). "Ricky Gervais is going Up the Junction". Reading Post. Surrey & Berkshire Media. Retrieved 8 June 2011. ^ Serck, Linda (27 July 2009). "The Maiwand Lion". BBC News. London: BBC. Retrieved 11 June 2011. ^ "Introduction". The Blade Reading. Retrieved 11 June 2011. ^ "Jacksons Corner department store has closed after 138 years". bbc.co.uk. BBC. 24 December 2014. ^ "Listed Buildings in Reading, Berkshire, England". British Listed Buildings. Retrieved 11 June 2011. ^ "Guide to Listed Buildings". Reading Borough Council. Archived from the original on 21 May 2013. Retrieved 5 April 2012. ^ "getreading - InYourArea". InYourArea. InYourArea. Retrieved 6 June 2018. ^ "About – Alt Reading". Alt Reading. Retrieved 1 October 2015. ^ "15 years of Two Rivers Press". University of Reading. Retrieved 13 June 2014. ^ "About". Two Rivers Press. Retrieved 13 June 2014. ^ "Parks and Open Spaces". Reading Borough Council. Archived from the original on 24 April 2012. Retrieved 5 April 2012. ^ Phillips 1980, p. 141. ^ "Prospect Park". Reading Borough Council. Archived from the original on 26 April 2012. Retrieved 5 April 2012. ^ "Magic Map Application". Magic.defra.gov.uk. Retrieved 11 April 2017. ^ "Aspects of Suburban Landscapes". Historic England. Archived from the original on 10 April 2017. Retrieved 9 April 2017. ^ "Main Block and Flanking Wings at Royal Berkshire Hospital, Reading". British Listed Buildings. Retrieved 13 June 2011. ^ "Royal Berkshire Hospital". NHS. Archived from the original on 21 July 2011. Retrieved 11 June 2011. ^ "Book Launch: Battle Hospital History". Royal Berkshire Hospital. NHS. Archived from the original on 27 September 2007. Retrieved 25 April 2007. ^ "Welcome to Berkshire Healthcare NHS Trust". Royal Berkshire Hospital. NHS. Archived from the original on 17 April 2007. Retrieved 25 April 2007. ^ "Capio Reading Private Hospital". Capio Healthcare UK. Archived from the original on 15 March 2007. Retrieved 25 April 2007. ^ "How to find Spire Dunedin Hospital". Spire Healthcare. Retrieved 25 June 2011. ^ "MRI Milestone in CircleReading construction". Circl Holdings plc. Archived from the original on 6 November 2012. Retrieved 29 March 2012. ^ "About Reading Central Library". Reading Borough Libraries. Retrieved 21 October 2011. ^ "Water and sewerage operators". Water UK. Archived from the original on 23 June 2008. Retrieved 11 June 2008. ^ "Water Resources". Environment Agency. Retrieved 11 June 2008. ^ "Water Quality". Environment Agency. Retrieved 11 June 2008. ^ "Green Park, Reading". Ecotricity. Retrieved 11 June 2008. ^ "Reading to Henley Service". Salters Steamers. Archived from the original on 2 August 2007. Retrieved 30 April 2007. ^ "Boat service from Reading to Mapledurham". Thames River Cruises. Archived from the original on 30 April 2007. Retrieved 29 April 2007. ^ "Destinations". National Express. Retrieved 13 June 2011. ^ "11 High Bridge". Reading History Trail. Archived from the original on 14 May 2011. Retrieved 9 May 2011. ^ "Reading station area redevelopment". Network Rail. Retrieved 13 June 2011. ^ "Reading rail station's £850m upgrade to finish early". BBC News. London: BBC. 18 May 2011. Retrieved 13 June 2011. ^ "GreenPark Reading Station Project" (PDF). Place Design and Planning. Retrieved 13 June 2011. ^ "The Coley Park Aerodrome and CWS Jam Works". Coley Park & Beyond (Kevin Rosier). Retrieved 15 February 2008. ^ "Home". Museum of Berkshire Aviation. Retrieved 26 June 2011. ^ "travel Reading - Travel By Bus". Reading Borough Council. Retrieved 20 February 2016. ^ "ReadiBus The Dial-a-Ride, door-to-door assisted bus service". ReadiBus. Retrieved 20 February 2016. ^ "OYBike". Reading Borough Council. Archived from the original on 30 August 2012. Retrieved 25 June 2011. ^ "Bike Hire Plans for Reading". Reading Borough Council. 10 March 2011. Archived from the original on 4 September 2012. Retrieved 5 April 2012. ^ Fort, Linda (15 March 2011). "Green light for Reading bike hire scheme". Reading Post. Surrey & Berkshire Media. Retrieved 25 June 2011. ^ "History". Reading School. Archived from the original on 22 July 2011. Retrieved 12 June 2011. ^ "List of Schools". Reading Borough Council. Archived from the original on 11 April 2012. Retrieved 5 April 2012. ^ Record Office, Berkshire. "Records of Alfred Sutton Secondary Boys' School, Reading". Retrieved 24 February 2019. ^ "About Reading College". Reading College. Archived from the original on 17 August 2010. Retrieved 23 August 2010. ^ "The University of Reading is 85 years old". University of Reading. 16 March 2011. Retrieved 12 June 2011. ^ "History of the University's Estates". University of Reading. Archived from the original on 21 May 2011. Retrieved 12 June 2011. ^ "Thames Valley University to become the 'University of West London'". Thames Valley University. 3 August 2010. Retrieved 23 August 2010. ^ Phillips 1980, p. 177. ^ "Collections". Reading Museum. Reading Borough Council. Retrieved 12 June 2011. ^ "Doors set to open on rural museum". BBC News. London: BBC. 30 June 2005. Retrieved 25 April 2009. ^ "About the Museum of English Rural Life". University of Reading. Retrieved 24 April 2009. ^ "Museums and Special Collections". University of Reading. Archived from the original on 13 February 2014. Retrieved 12 June 2011. ^ "Riverside Museum". Reading Library Service. Archived from the original on 24 August 2006. Retrieved 17 September 2006. ^ "Home". Museum of Berkshire Aviation. Retrieved 12 June 2011. ^ "Church of St Mary, Reading". British Listed Buildings. Retrieved 12 June 2011. ^ "Detailed history". Reading Minster of St. Mary the Virgin. Retrieved 12 June 2011. ^ Ford, David Nash (2001). "Relics from Reading Abbey". Royal Berkshire History. Nash Ford Publishing. Retrieved 13 June 2011. ^ "Reading in 1841". Old Towns Books and Maps. Retrieved 12 June 2011. ^ Historic England. "Greyfriars Church, Friar Street, Reading (38955)". Images of England. Retrieved 6 July 2011. ^ "Greyfriars Church – History". Greyfriars Church PCC. Archived from the original on 19 February 2008. Retrieved 28 November 2007. ^ "Parish Finder – Reading". A Church Near You. Church of England. Archived from the original on 17 December 2014. Retrieved 30 March 2012. ^ "Church of St James', Reading". British Listed Buildings. Retrieved 8 May 2011. ^ "Blessed Dominic Barberi". The Passionists of Holy Cross Province. Archived from the original on 26 July 2011. Retrieved 13 June 2011. ^ "The UK Catholic Parish Directory – Diocese of Portsmouth". Benet Services. Retrieved 30 March 2012. ^ "Reading Central Seventh-day Adventist Church". Reading Borough Council. Archived from the original on 7 September 2017. Retrieved 7 September 2017. ^ "Southern England – Counties". Adventist Church in UK and Ireland. Archived from the original on 7 September 2017. Retrieved 7 September 2017. ^ a b "Reading Hebrew Congregation". Reading Jewish Community. Retrieved 2 November 2016. ^ "Reading Liberal Jewish Community". Union of Liberal and Progressive Synagogues. Retrieved 23 August 2013. ^ "Maidenhead Synagogue". Maidenhead Reform Synagogue. Retrieved 23 August 2013. ^ "Central Jamme Mosque, Reading". Bangladesh Association Greater Reading. Archived from the original on 19 May 2009. Retrieved 29 October 2009. ^ "Mosque work to begin". Reading Post. Surrey & Berkshire Media. 2 February 2006. Retrieved 18 November 2010. ^ Slater, Natalie (3 July 2008). "Slow progress of 'eyesore' mosque". Reading Post. Surrey & Berkshire Media. Retrieved 18 November 2010. ^ Hewitt, Adam (19 May 2009). "Green Road mosque deal signed". Reading Chronicle. Berkshire Media Group. Retrieved 18 November 2010. ^ "Green Road Mosque Controversy". Reading Post. Surrey & Berkshire Media. Retrieved 18 November 2010. ^ "About Shantideva Buddhist centre". Shantideva Buddhist centre. Archived from the original on 5 February 2009. Retrieved 1 April 2010. ^ "Reading Hindu Temple". Reading Hindu Temple. Retrieved 30 March 2012. ^ "Siri Guru Singh Sabha Gurdwara". Reading Voluntary Action. Retrieved 30 March 2012. ^ "The Salvation Army – Reading Central". The Salvation Army United Kingdom with the Republic of Ireland. Archived from the original on 23 June 2012. Retrieved 30 March 2012. ^ "Reading – Mid-Thames Quakers". SugarCat Publishing. Retrieved 30 March 2012. ^ "Reading Christadelphians". Reading Christadelphians. Retrieved 31 October 2013. ^ "The History of Reading Football Club". Reading Football Club. 2 May 2010. Archived from the original on 4 February 2010. Retrieved 13 June 2011. ^ "Madejski Stadium information". Reading Football Club. 4 August 2010. Archived from the original on 7 May 2011. Retrieved 14 April 2011. ^ Fordham, Jonny (8 July 2009). "Nicky Shorey doubts Reading FC's '106' record will be beaten". Reading Post. Surrey & Berkshire Media. Retrieved 10 June 2011. ^ "Reading promotion meant to be, says Brian McDermott". BBC Sport. London: BBC. 17 April 2012. Retrieved 1 June 2012. ^ "Reading Town News Season 2010/11". Uhlsport Hellenic Football League. 14 January 2011. Retrieved 11 January 2012. ^ "How to Join". Reading Athletic Club. Archived from the original on 15 July 2011. Retrieved 25 June 2011. ^ "About us". Berkshire Renegades American Football Club. Archived from the original on 15 May 2009. Retrieved 12 June 2011. ^ "Home". Reading University Boat Club. Retrieved 13 June 2011. ^ "Redgrave Pinsent Rowing Lake". BBC News. Retrieved 10 June 2011. ^ "find". Reading Town Regatta. Archived from the original on 30 April 2011. Retrieved 13 June 2011. ^ "Tears and Glory". Reading Speedway. Retrieved 13 June 2011. ^ "Work extension to start new Reading stadium". BBC News. London: BBC. 16 July 2010. Retrieved 13 June 2011. ^ "Reading Half Marathon 2010 Race Info". Reading Half Marathon. Archived from the original on 10 September 2011. Retrieved 22 March 2010. ^ "Reading half marathon 2011 'will be biggest yet'". BBC News. London: BBC. 18 March 2011. Retrieved 10 June 2011. ^ Taboada, Khadija (18 March 2018). "Reading Half Marathon 2018 cancelled due to heavy snowfall". InYourArea. Archived from the original on 25 March 2018. Retrieved 25 March 2018. ^ "British Triathlon Celebrates 25th Anniversary". Triathlon. 11 December 2007. Archived from the original on 6 July 2010. Retrieved 10 June 2011. ^ "History of triathlon". British Triathlon. Archived from the original on 11 September 2011. Retrieved 10 June 2011. ^ "Triathlon's coming home... to Reading". Reading Chronicle. Berkshire Media Group. 13 January 2010. Archived from the original on 29 September 2011. Retrieved 10 June 2011. ^ "Snooker Legends". Reading Arts. Reading Borough Council. Archived from the original on 25 November 2011. Retrieved 10 June 2011. ^ "Snooker: A vacuum at the Hexagon before Taylor stages a clean sweep". The Independent. UK. 13 October 1992. Retrieved 10 June 2011. ^ "Reading – Town Twinning". Reading Borough Council. Archived from the original on 9 May 2013. Retrieved 14 July 2013. ^ "Twinning with Düsseldorf". Reading Borough Council. Archived from the original on 30 August 2012. Retrieved 5 April 2012. ^ "Twin Towns". Amazing Düsseldorf. Retrieved 29 October 2009. ^ "Twinning with San Francisco Libre". Reading Borough Council. Archived from the original on 21 May 2013. Retrieved 14 January 2013. ^ "Twinning with Speightstown". Reading Borough Council. Archived from the original on 27 May 2011. Retrieved 26 June 2011. ^ a b "Town Twinning". Reading Borough Council. Archived from the original on 27 May 2011. Retrieved 26 June 2011. Cameron, Kenneth (1961). English Place Names. Oxford, UK: Taylor & Francis. Dils, Joan (1998). An Historical Atlas of Berkshire. Reading, UK: Berkshire Record Society. ISBN 978-0-9524946-5-2. Ditchfield, P. H.; Page, William (1923). A History of the County of Berkshire, Volume 3. Victoria County History. London, UK: Archibald Constable. Archived from the original on 31 October 2013. Retrieved 24 October 2011. Hunter, Judith (1995). A History of Berkshire. Chichester, UK: Phillimore. ISBN 978-0-85033-729-7. Hylton, Stuart (2007). A History of Reading. Chichester, UK: Philimore. ISBN 978-1-86077-458-4. Kidner, R.W. (1982) . The Reading to Tonbridge Line. Locomotion Papers (3rd ed.). Salisbury, UK: The Oakwood Press. ISSN 0305-5493. Lawes Long, Henry (1836). Observations upon certain Roman roads and towns in the south of Britain. Whitefish, USA: Kessinger Legacy. Phillips, Daphne (1980). The Story of Reading. Newbury, UK: Countryside Books. ISBN 978-0-905392-07-3. Slade, Cecil (2001). The Town of Reading and Its Abbey. Reading, UK: MRM Associates Limited. ISBN 978-0-9517719-4-5. Sowan, Adam (2004). Abbatoirs Road to Zinzan Street. Reading, UK: Two Rivers Press. ISBN 978-1-901677-36-2. Waters, Laurence (1990). Reading. Rail Centres. Shepperton, UK: Ian Allan. ISBN 978-0-7110-1937-9. Wykes, Alan (1970). Reading. London: Macmillan.